I have a cooking project coming up soon where I needed some decent bread so I decided to make a basic white loaf using the Josey Baker Bread technique. Combine the salt and flour in a large mixing bowl. In a separate bowl or measuring cup, dissolve the yeast in the lukewarm water for 10 minutes or so. Add the water to the flour and salt mixture and combine completely by hand. After the dough is completely combined and there is no dry flour remaining, cover the bowl with plastic wrap and let rise for 3 hours. (This step is optional) At this point, you can put the dough in the refrigerator for up to five days if you want to allow the flavor to continue to develop. On THIS loaf, I just put it in the fridge overnight (for about 12 hours). If you refrigerate your dough, allow it to sit on the counter at room temperature for at least three hours before moving to the next step. Flatten out the dough and fold it over itself to form an oblong loaf. Place in a greased loaf pan and cover loosely with foil while your grill or oven is preheating to 475°F. Allow the loaf to rise for at least an hour at this stage. Place the loaf pan in the grill or oven with the foil covering it for 20 minutes. After 20 minutes, remove the foil and cook for an additional 20 minutes. Remove from the grill or oven. Remove the loaf from the pan to a cooling rack and let cool completely before slicing. That's a good looking loaf of bread John. 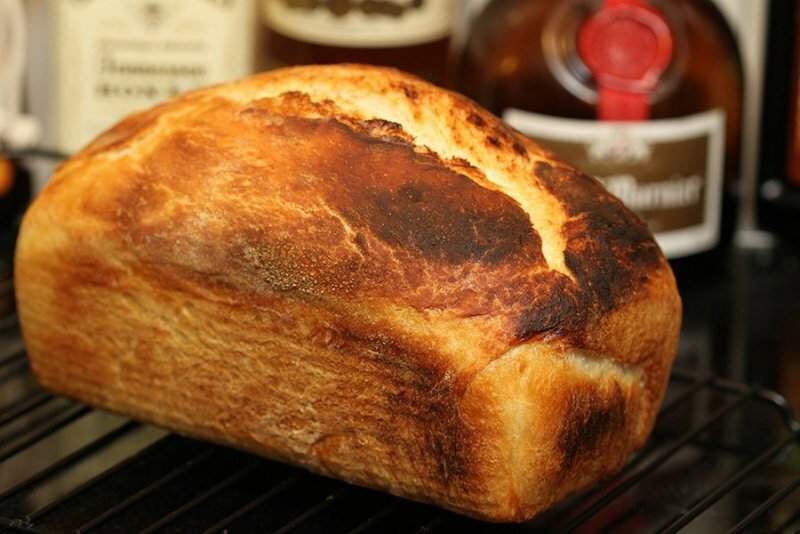 You are baking up some great looking breads.. Haven't cooked bread in a while... I def need to make some.. Starting with that cinnamon bread. Is this bread suitable for sandwiches?